The Orchard Church, 20 MacLoughlin Drive, Te Puke. Sally Clendon, PhD is a speech-language therapist with expertise in literacy instruction for children with complex communication and learning needs particularly those who use augmentative and alternative communication (AAC). Sally completed her PhD at the Centre for Literacy and Disability studies at the University of North Carolina at Chapel Hill in 2006. Since then Sally has held academic appointments in Australia and New Zealand, whilst also engaging in a variety of consulting work. 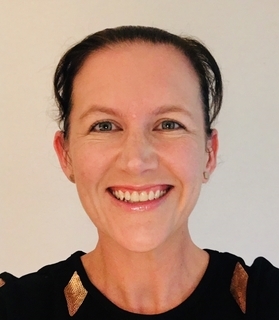 Sally presents nationally and internationally and has worked with several schools across New Zealand to implement a comprehensive approach to literacy instruction for their students. Sally looks forward to sharing her passion for literacy and all that she has learned from working alongside teachers and students to ensure that ALL children have access to the communication and learning opportunities they need. Optional lunch at $25 per person per day. Emergent literacy is the process that children move through from birth as they weave together knowledge about language and literacy (Dickinson & McCabe, 2001). This includes code-related skills such as phonological awareness, print awareness, alphabet knowledge, and emergent writing; and oral language skills such as inferential language and vocabulary (Whitehurst & Lonigan, 1998). Knowledge in these areas develops in an integrated manner to provide children with a strong foundation that has been shown to be critical to later literacy learning success (Dickinson & McCabe, 2001). All children are readers and writers including those with complex communication and learning needs. We need to pinpoint where they sit on the continuum of literacy learning, identify their strengths and their areas of need, and then work together to differentiate instruction and optimise their learning outcomes. This workshop will equip attendees with a toolbox of ideas and strategies for maximising communication and literacy learning for children with complex communication and learning needs. This workshop will describe the rationale and principles underlying a comprehensive literacy approach and how it can be applied to children with complex communication and learning needs. This workshop will focus on early conventional literacy learning – so shifting focus from children who need to build their emergent literacy understandings and language skills (covered in Day 1) to a focus on children who can engage and benefit from more formal literacy instruction. Participants may choose to attend Day 1, Day 2, or both sessions. Session outlines are below. To register please select the appropriate form at the end of this page e.g. school/organisation choose professional. Please indicate which sessions you would like to attend using the drop down menu.